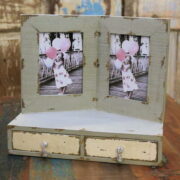 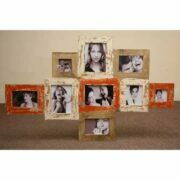 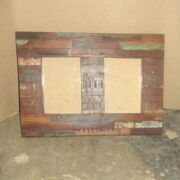 Rustic multi photo frame with six spaces for photos, made from reclaimed wood using a block design. 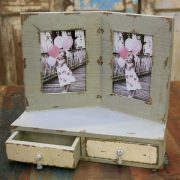 One of our lovely block photo frames, this time with six 6X4 inch spaces set out in a rectangular design, with glass to protect your photos. 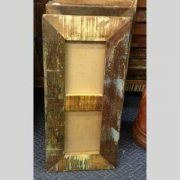 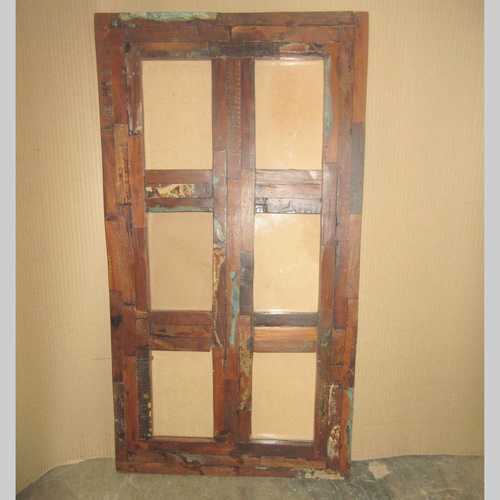 Made from reclaimed materials, the finish of these frames combines small blocks of wood with varying shades and wood grain texture combined with splashes and streaks of distressed paintwork. Colours of paint can include blue, green, turquoise, yellow, red, orange, cream, brown and white. 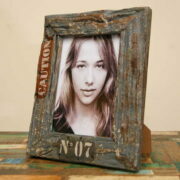 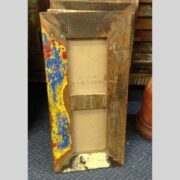 The frame can be hung portrait or landscape depending on your photos and requirements.